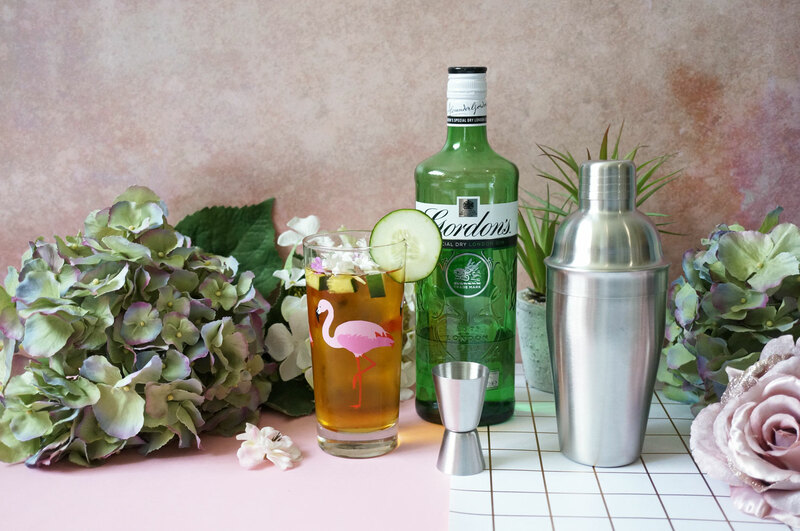 thebar.com recently got in touch and asked me to share my favourite classic cocktail recipe from their site, but with an added personal twist – and hopefully this will inspire you to make your own cocktails at home this summer! I’m a big fan of cocktails, and love anything that’s particularly sweet in flavour. 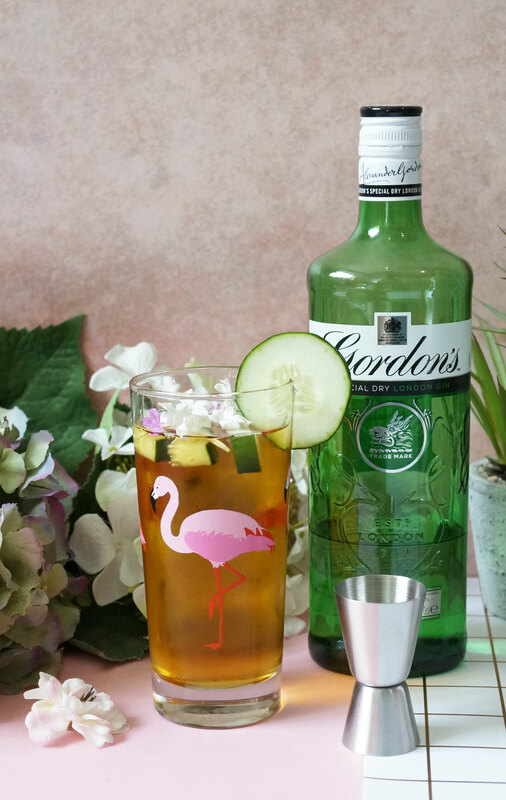 On the odd occasion where I do get to try a cocktail, I would usually go for a vodka or gin base, with sweet, fruity juices and flavourings. After looking at all the cocktail recipes on thebar.com, I actually found it quite hard to whittle it down to just one to try out! 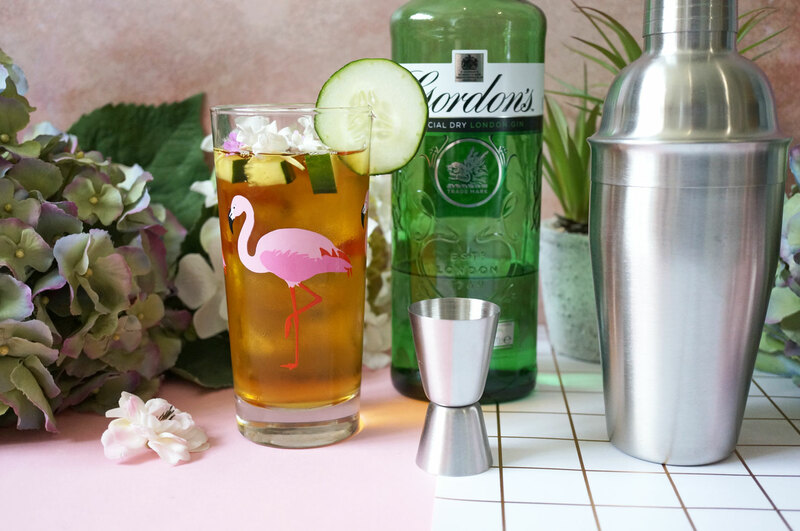 It was a close call between the classic Pimms and Lemonade, and the gin based English Garden cocktail. In the end, English Garden just won by a hair as I thought this was the one I’d be able to have the most fun experimenting with. So armed with my list, I took to the shops to pick up all the ingredients – I couldn’t wait to start experimenting! First of all, I couldn’t find any blood oranges, so I had to cross this off. I could have gone with normal oranges instead but I didn’t feel they were quite fancy enough so I decided to just pick up the other ingredients. Next up was grapefruit – I’m not the biggest fan of grapefruit on it’s own, but I have had it in both cocktails and soft drinks and I’ve really enjoyed it in the past. Now this is my second fail, where you’ll be able to tell that I’m really not used to making cocktails – so I bought an actual grapefruit. Not grapefruit juice, a whole massive grapefruit. I’m not sure what was going through my head when I was in the supermarket, but I just saw it, though ‘ah I need grapefruit’ and off I went on my merry way. Once I was home and realised my error, I thought I might as well use it, so I tried mushing it up. Well as you can imagine this didn’t work out, and let’s just say the whole thing was a disaster! I love Elderflower cordial any way, and it just seemed like the right type of flavour to go with a gin cocktail – plus at this point I was really running low on options – so luckily, after trying a few different combinations, the obvious winner was Elderflower. I used about 20ml of my other half’s extremely tasty handmade elderflower cordial that he made a few months ago (you can pick this up cheaply at most supermarkets too) I know this isn’t the most ‘out there’ twist I could have gone with for this cocktail, but it really did taste great so I was more than happy with the outcome. 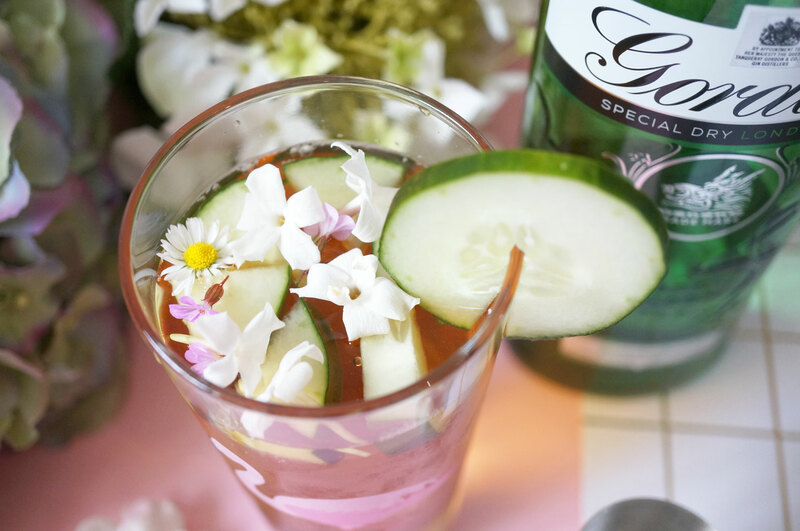 I also added a sprinkle of flowers from the garden, including jasmine and daisies to really make the drink look special!